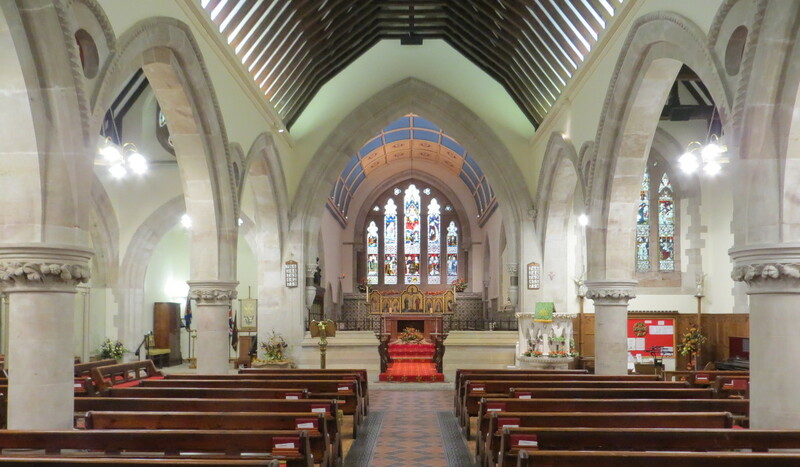 St Benedict Biscop 08:00 Holy Communion (Common Worship) An early morning worship, which lasts about 35minutes. A special service booklet leads worshippers through this simple and reflective service, which includes a short address. St Benedict Biscop 10:30 Parish Communion (Common Worship) Our main Sunday act of worship with music, a robed choir and servers. Service booklets, which are easy to follow, enable us to use a variety of the seasonal prayers from Common Worship. We use a mixture of traditional and modern hymns. • Sunday Club for children, up to 12 years old, is available in the Hand in Hand, adjacent to the church. Children's religious books, soft toys etc. are available in the Children's Room at the base of the Tower at the rear of the church for those chi,dren who remain in the service but may become restless. • Please stay afterwards for light refreshments to meet other members of our Church Family. 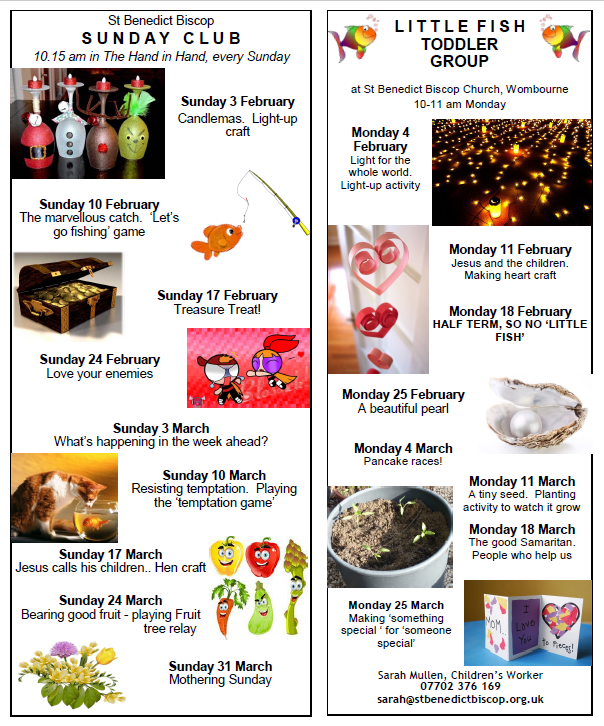 • On Education Sunday, Mothering Sunday and at Harvest our service is a little more informal and focuses on Families. • Large print copies of our hymn and service booklets are available and a loop system has been installed for those with hearing disabilities. • Parish Communion lasts about an hour and a quarter. St Benedict Biscop 18:30 Evensong (Book of Common Prayer) A traditional Service, on the first Sunday of the month, lasting approximately one hour, with hymns, sermon and prayer and a robed choir. An informal reflective service, using song, silence and meditation, lasting about 45 minutes, on the second Sunday of the month which uses music and prayers from the Taizé Community.